While mowing your lawn may account for the bulk of your work when maintaining your garden, it’s trimming, cutting and shaping that really create a stunning finish. To achieve this, you’ll need to choose from our range of electric and battery-powered hedge trimmers from brands such as Hyundai and Ryobi. 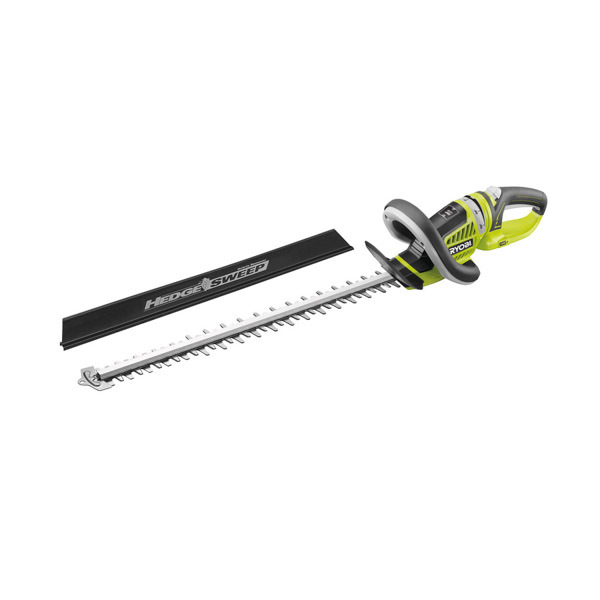 Stocking the best cordless hedge trimmer range, SGS is ideally placed to meet your gardening needs. Whether you’re a green-fingered enthusiast or a professional gardener who works in the most challenging outdoor spaces, we’re confident that you’ll find your perfect electric trimmer on our website. Our cordless range of hedge trimmers is among the best on the market, as it includes highly-engineered products from some of the world’s most reputable brands like Ryobi. Not only are our cordless trimmers lightweight and designed to be used on even the most towering of hedges, but they also offer tremendous flexibility in any garden space. This is because they can be operated without a nearby power source, helping to reach into the deepest overgrowth and the furthermost corners of your (or a client’s) garden. If you buy a battery operated Ryobi hedge trimmer from SGS, you’ll be able to use this with the same lithium ion battery packs as part of the brand’s innovative ONE+ range. These packs are interchangeable across a wide range of power tools within the range, creating a cost-effective solution for gardeners who want to trim their hedges and complete other tasks including drilling and sawing, too. So, whether you simply want to neaten the edges of your garden or trim down large sections of bush, we have a diverse and affordable product range to help you achieve your objectives. If you’ve browsed our battery powered hedge trimmer product range and would like to know more, our helpful team of technical would be only too happy to help. Whether you’re not sure where to start or have a particular model in mind, give us a call and we’ll help in any way that we can. 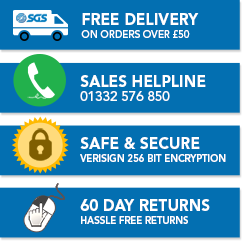 At SGS, we’re always looking for ways to help our customers and empower them to choose the best products for specific tasks. To support this, we’ve created several buying and how-to guides that should help you to understand several different topics. If you want to use a chainsaw for the first time, getting started can be challenging. This guide offers step-by-step information on how to set up and start your chainsaw. Garden strimmers can be used to complete a number of different garden tasks, and this guide discusses five of the most popular. Every gardener has a core set of tools and accessories, and in this guide, we look at those that are most useful when working outdoors.